Hyderabad, Feb 26: As summer approaching not only time for holidays but also the end of academics. 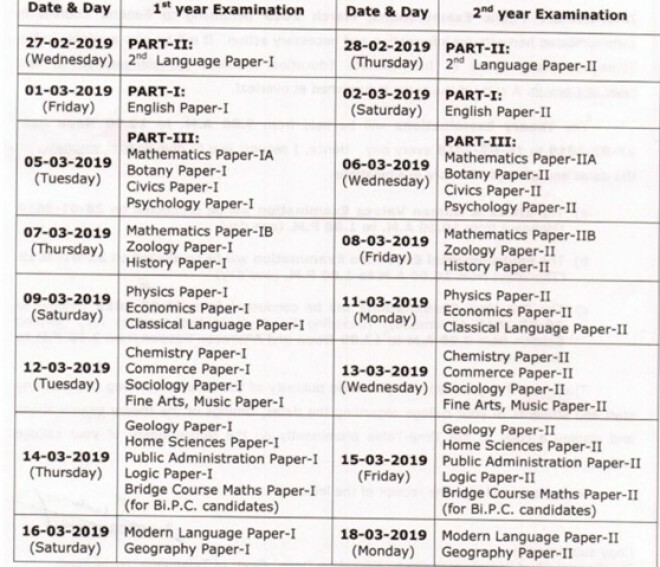 So, Students of 10th and +2 get ready to write their board exams. In the context of +2 exams coming closer, striking widely spaced fine points are recommended exclusively for students. "If the Inter colleges fail to issue hall tickets to the students for not clearing their fee dues, there will be a necessary action taken on College Principals and management," - stated Telangana Intermediate Board Secretary A. Ashok. It is already known that Telangana Intermediate examinations scheduled to begin from tomorrow. On interaction with the media, the Secretary accompanied by the other officials clarified as mentioned. However, the hall tickets were sent to the respective colleges. But the colleges are making the students to struggle for which they have to clear the academic bill in order to get their hall tickets. If the colleges continue to pressurize students their affiliation by the government of Telangana will be terminated. Despite this, he advised students to download their hall tickets from bie.telangana.gov.in website for which there is no mandatory of principal signature. Having said that, he said that the exam will be started at sharp 9'o clock and the students are allowed to the examination hall from 08:00 am. The commencement of the exam will be from 08:45 am. The OMR sheet details accomplishment will happen for the first 15 min and then begins the exam at 9'o clock and ends at 12 pm. The board secretary says...Students are not allowed after the 9'o clock, even a minute late is not tolerated. He asked to download the exam center locator application from google play store in order not to get puzzled (or) en route to another way in heavy chaos. However, there has been an allocation of CCTV cameras while opening the question papers.